There are only two weeks left before the label converting event of the year - Labelexpo Americas 2010, taking place 14-16 September at the Donald E. Stephens Convention Center in Chicago. There is more to see than ever before, and not just for labels, but also unsupported film, flexible packaging and sleeve applications, cartons, RFID insertion, medical applications and booklet finishing. This unique opportunity comes only once every two years and there’s no way one would want to miss out and let their competitors take the advantage. This year’s show will have more global product launches than ever before. Expect to see (for the first time anywhere) major new presses from the likes of Mark Andy, Nilpeter and MPS. Digital presses that have never been shown in North America before include that of Xeikon and Domino. With a vast array of digital and HD flexo developments, there is simply no better place to see all the latest industry innovations. In the Technology workshops, one will get to see how four different printing technologies (liquid toner, dry toner, inkjet and HD flexo) compare on the same jobs. It’s a first and there would be daily live demonstrations on three different label specs. Beyond labels section will feature new opportunities for the converter wherein new opportunities can be unraveled in short-run packaging applications, including flexible packaging, folding cartons and pouches. The show would also have labelexpo’s largest conference ever as 20 conference sessions, covering topics as diverse as digital printing, branding solutions to leadership and business as well as environmental sustainability is covered. There are not only big discounts for multiple sessions, but if you register for any conference session, you automatically get free entry to the expo. Mike Fairley is going to chair a three hour digital masterclass with some of the industry’s leading experts on the last day of the show. It is the ultimate overview of digital technology! Compare different processes, applications and solutions. In order to make the session as interactive as possible seating is strictly limited. Can you miss this unique opportunity? With the opening of its new offset plate finishing and packaging operation at its facility in Goa, India, Kodak greatly enhances its ability to serve local customers quickly and efficiently. The new offset plate finishing and packaging operation joins the film, photo finishing, and entertainment imaging services in Goa, and leverages the existing infrastructure to address the demands of the local market. The local finishing capability means that Kodak can cut and supply any size offset plate that is required without having to order new sizes from China or Europe. In addition, local operations improve flexibility, while making it possible to design packaging that is optimized for India’s emerging distribution infrastructure. As a leading worldwide supplier of offset plates, Kodak offers solutions for commercial printing, publishing, and newspapers. Customers in India now have broader access to plate sizes and quantities, and can respond more quickly to unexpected rises in demand as work volume increases. This new presence offers a strong alternative to the existing local supply. 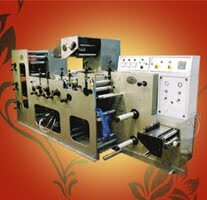 ApexRoto Tech Industries will be demonstrating a 6-color flexo press at the forthcoming Labelexpo India show. 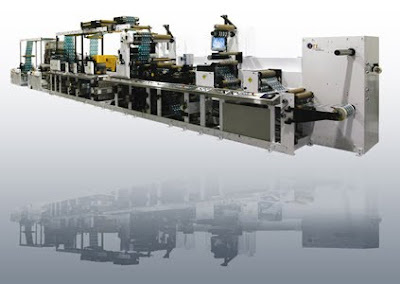 Claimed to make it easier for press operators to reduce waste in the converting process, the APDM-63-260 flexo press on show will come loaded with six printing towers and three die-cut towers, along with web monitor and UV drier. Further features include closed loop dancer tension controller and edge guide. Following extensive market research, the company identified the problem converters have removing matrix waste when die-cutting complex shapes. They have designed a new waste remover/re-winder section incorporating slitting and missing labels detector in this model. The AWRS-260) combined waste matrix remover/slitter re-winding system with auto label counter will be the ‘highlight of the exhibition,’ says a company spokesman. ApexRoto Tech has also been manufacturing its own magnetic cylinders for the last ten years, and claims to have been the first Indian supplier so to do. International Print-O-Pac (IPP) that started as a pre-press house in 1981 with the setting up of its first unit in Okhla in New Delhi, is today, a multi-locational company housing 100 sheetfed printing units, 25 web printing units and comprehensive finishing equipment. No wonder, the journey of evolution from a pre-press house to that of a leader in print-packaging has been exciting. According to J K Doshi & Co, PrintWeek's official auditors, the group has a large working capital requirement. Fixed assets have been achieved through borrowed funds as well as share premium. The IPP group has been granted a stable P1 rating by Crisil which is a high quality rating. 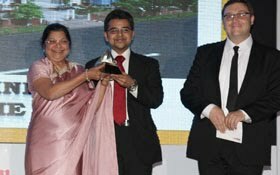 These are the factors that won International Print-O-Pac the PrintWeek India Company of the Year Award. UPM Raflatac has opened two new slitting and distribution terminals, in Istanbul, Turkey and Bangalore, India. The new terminals will supply local labelling markets with high-quality film and paper labelstock. The Bangalore terminal complements UPM Raflatac’s already substantial Southeast Asian and South Asian logistics network, comprising a labelstock factory in Johor, Malaysia and terminals in Jakarta in Indonesia, Bangkok, Thailand and Mumbai, India. The new terminals are an essential facet in UPM Raflatac’s global development programme. During 2007 to 2010, UPM Raflatac has opened new production facilities in the USA and China, a brand new production and logistics centre in Poland, and a new slitting and distribution terminal in Russia. To continue the momentum of its dynamic growth, Avery Dennison Materials South Asia has today announced a key leadership change and named Mr. Anil Sharma as its new Managing Director. Mr. Sharma will succeed Mr. Raj Srinivasan, who is promoted to Vice President - New Product Introduction at the Avery Research Center, Pasadena, California and will shortly be relocating to the US. In his new role, Mr. Sharma will assume full strategic and operational responsibility for driving growth, productivity and profitability in the Roll Materials business in India, Pakistan, Bangladesh, Sri Lanka, and Nepal. He also has a shared responsibility in the management of the Graphics, Reflective and Specialty Tape business in the South Asia region. Mr. Sharma joins Avery from Diversey Inc., a global leader in industrial detergents and sanitizers, where he served as Vice President of Sales - Food and Beverage, based in the US and several other key positions in Asia Pacific. A global leader in pressure-sensitive technology and materials, Avery Dennison Roll Materials manufactures and markets products under the well-known Fasson brand name, including pressure-sensitive and non-adhesive coated papers, films and foils. Roll Material products are widely used in brand identity, bar-code labeling systems, product identification and other applications by label converters and consumer product companies to make brands more inspiring and the world more intelligent. The five high volume Label Traxx users will be honored at a public ceremony on the Label Traxx Labelexpo stand, booth 6017 on September 15 at Chicago. Located in Milwaukee , Wisconsin; Tailored Solutions provides automated job management software for the printing industry. Designed for use on both Macintosh and Windows platforms, Label Traxx is the most popular print business management software for flexographic and digital narrow web converters and printers worldwide. 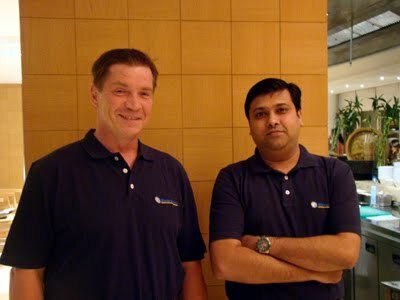 Label Traxx is represented in India by Weldon Celloplast Ltd. Opened in 2007, ETI China celebrated its 3rd anniversary by organizing a Technical Summit on July 2nd, 2010 at its plant in Songjiang (close to Shanghai). At this occasion, ETI opened its door to over 100 guests from 60 different companies. During the Summit, the numerous visitors enjoyed the conference given by Mr Tan Junqiao, Senior Advisor of PEIAC (Print Equipment Industries Association of China). Mr Junqiao spoke about “The situation of the Chinese Label Industry”, a subject that captivated the participants’ attention. Mr Maxime Bayzelon, Vice- President ETI China, then related the history of ETI Converting and of its products and Mr Waley Xuan, General Manager ETI China, made a presentation on the ETI-Cohesio technology and its advantages for the label industry. Presentations were followed by a demonstration on an ETI-Cohesio. During the demo, pre-printed rolls of wash-off beer labels were transformed into self-adhesive die-cut labels. The silicone and a UV curable hotmelt adhesive were applied in-line, cured and then die-cut in register at 150 m/min. Participants were quite impressed and could see the many advantages of the ETI Technology. ETI Converting’s penetration of the Asian market is fast growing and ETI China expects several large contracts in the months to come following the technical summit’s success. The Indian Institute of Packaging is organising a curtain raiser programme on 3rd September at the Seminar Hall, Indian Institute of Packaging, New Delhi. 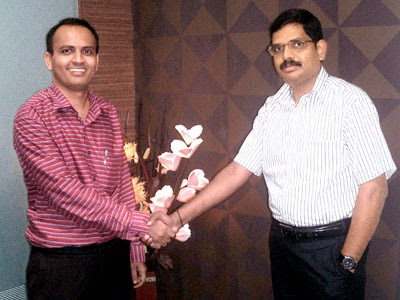 Keeping the forthcoming Indiapack 2010 show in mind, IIP is leaving no stone unturned to make it a grand success. This program is aimed to bring in the packaging professionals from across the country on a common platform. Starting off the evening is an International Summit for Packaging Industries and also to highlight the plethora of activities that will take at Indiapack 2010. The TLMI and Tarsus have announced that CEOs from four leading converters will participate in a roundtable and luncheon session during Labelexpo Americas. The four experts will speak about their experiences as leaders of multinational industry conglomerates during the event'sconference sessions from 10:30am to 12:30pm on Wednesday, September 15. Frank Gerace, past president and CEO of Multi-Color Corporation, will discuss managing in a challenging economy. John McKernan, president and CEO of York Label, will discuss creating a culture of cost performance. Geoffrey Martin, president and CEO of CCL, will talk about centralized versus decentralized operations. Finally, Terry Fulwiler, CEO of WS Packaging, and R. Stanton Avery Lifetime Achievement Award winner for 2010, will speak about profit sharing. The Label Manufacturers' Association of India (LMAI), headquartered in Mumbai, has founded a Young Managers' Club (YMC), along the same lines as the initiative launched by Finat. YMC members will be first generation founders, second or third generation owners or managers below the age of 40 from an LMAI member company and those who would like to exchange experiences, initiate common projects, and participate in exchange programs focused on topics like succession, leadership, intercultural management, lean management, innovation and more. Webtech Industries - one of the leading high quality pressure sensitive/self adhesive label converters in India recently ordered 2 units of Xeikon 3030 Digital Label Press through Monotech Systems Limited, Chennai, the distributor for Xeikon Digital Presses in India. Established in 1998, Webtech constantly upgrades their plant and machineries primarily catering to their prestigious clients in Pharma and FMCG segment. In keeping with the tradition and their requirements, Webtech has now gone digital and added Xeikon Digital Label Press to their State-of-art printing unit along with series of Flexo Label Press with online and offline converting machineries, automatic label defect detection system etc. Mr. S. Venkatesh General Manager of Monotech systems Ltd. says that Xeikon digital label press is a true professional solution for different types of labels and folding cartons and it is based on electro photographic imaging technology with full rotary system. Hence it can achieve its maximum speed irrespective of size of labels & coverage of colors. By adding Xeikon digital press to their products line Web Tech can comfortably handle short run & specialized labels, Flexible packaging and folding cartons from 40gsm substrates to 350gsm normal substrates without any top coating. Monotech Systems Ltd. is a multi division company engaged in offering solution to prepress and digital printing applications. Monotech has been representing Punch Graphix International nv-Belgium for nearly 6 years for their basysPrint CTcP System and Xeikon Digital Press for multiple industrial applications. In the recent past Monotech systems has been very active in selling high-end Digital solutions from various internationally repute brand for different industrial applications. One such installation is Webtech. Mr. S. Venkatesh informs that in the coming years, majority of label converting printers in India will be opting for Digital solution to complement their existing Flexo Presses. He also says that selling Xeikon solution to Webtech, the pioneer in Indian Flexo Printers is a major break through for Xeikon and Monotech Systems Ltd.
As all are aware about, India is a rapidly emerging market in the Asian part of the world in the field of labels and labeling. And with all eyes are set on this part of the world to enhance and further their business, Conventions & Fairs (India) Pvt. Ltd. have announced a show on the fast growing labels industry - Labels & Labeling Solutions 2011 (LLS’ 11). According to an official release, LLS'11 will provide an unparalleled opportunity for showcasing your existing range and for launching new products in an exciting one-to-one marketing environment. The release also mentions bringing in a industry centric target audience to achieve new market breakthroughs, joint venture deals, new supply contracts, distributor accords and major new product exposures. 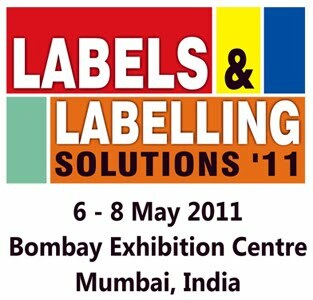 Scheduled to be held at the Bombay Exhibition Centre, Mumbai (India) from 6th to 8th May 2011, Labels & Labeling Solutions 2011 (LLS’ 11) is being held in conjunction with India International Sign Show 2011. The official release also mentions that the synergy emerging from the concurrent events will be a unique advantage to the visitors. However, what one fails to understand is, how can the two industries synergize on a common platform that are so vaguely and remotely disconnected. Just a line to add: whether this show will see the light of the day or not remains to be seen as Conventions & Fairs (India) had announced a show "Labels & Labeling Solutions" 6 years back and called off at the last moment for lack of participants. August 4th will be marked as a Red Letter day in the history of Electro Optic AG as their long standing plan of launching their Asian subsidiary finally took shape in the name and style of Electro Optic (Asia) Pvt. Ltd. Starting off by serving the Indian market through their agents, a decade later Electro Optic have flagged off their Asian operations with a simple aim to reach out to its customers and serve them better. While the plans of expanding in Asia were being deliberated for a long time, it was only now that it formally took shape. However, instead of taking the oft used route mostly followed by the bigwigs of the industry by starting the new operations exclusively on their own, Electro Optic chose their Indian sales agent “Printline Products” to navigate and steer their operations in Asia instead. All the who’s who of the Indian label industry and customers of Electro Optics that included Amar Chajjed, Vivek Kapoor, Manish Desai, Sandeep Zaveri, Denver Annunciation, Sunil Bhatt, Ajay Mehta, Prasanna Sahu, Hameer Mehta, Gourav Roy, Shailesh Nema and other industry bigwigs had assembled to grace the occasion. “We will extend our activities on the existing markets like India and UAE and -by running an own subsidiary- will plan additional approaches to South East Asian and other surrounding countries. The logistic part is just to find out what the quickest way of production and delivery is for the appropriate area. That is the way we go,” concluded Erwin. The package in today’s competitive market has become the “first moment of truth” especially at a retail outlet. Often, we remember a brand with the design of its label & package. Consumer studies state that it takes about 2.6 seconds for a customer to make a purchase decision and this decision is heavily influenced by visual appeal given out by that product with the help of attractively packaged products. Thus businesses today are increasingly seeking digital technology for labelling and package printing owing to its cost effective, eco friendly & convenient nature. Re-emphasising on this growing competitive industry requirement for attractive and identifiable packaging, HP – the pioneer in digital printing portfolio along with Kris Flexipacks hosted an event in Mumbai. The event highlighted on the opportunities in the booming packaging industry, the challenges faced by manufacturers, the solution HP technology provides and the fabulous work Kris Flexipacks does in the packaging space for a plethora of big brands in the country. Backed by HP technology, Kris Flexipacks has become the most preferred supplier for leading companies like Johnson & Johnson, Unilever, Cadbury’s, Coca Cola, PepsiCO, Reckitt & Benckiser, Heinz, Nestle, Marico, Colgate, Amul, Dabur to name a few. 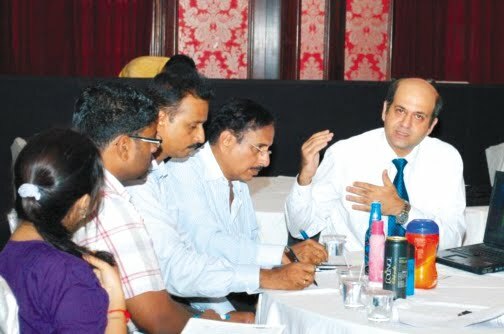 The event was attended by about 100 packaging development mangers and brand managers from various corporates. esigned for high-volume 24/7 operation, ws4500 has an economic run length of 6,500 linear feet. It can print with upto 7 colours, including spot colours, white and eye-popping colours.